ImmunoLin, for Digestive Health and Immune Support FAQ’s - Entera Health, Inc. The protein mixture found inImmunoLin® is serum-derived bovine immunoglobulin/protein isolate (SBI) and is manufactured using a tightly-controlled and highly reproducible process at an FDA-inspected facility. 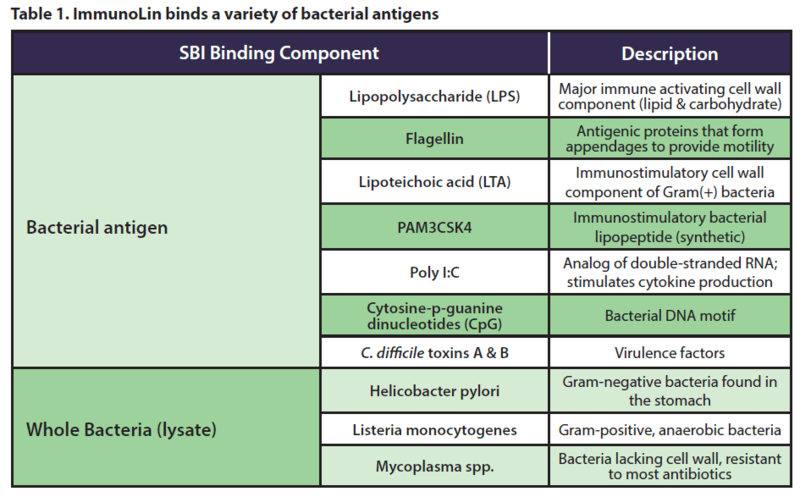 Research studies provide evidence that the diversity of immunoglobulins and proteins found in ImmunoLin® are safe and help improve digestive health and nutritional status by decreasing immune activation through mechanisms that involve antigen binding and strengthening gut barrier function. Have more questions? Click the link to see what others most frequently ask us, about ImmunoLin®.